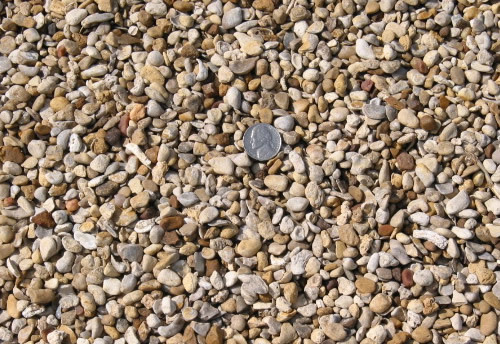 As granite rock decomposes over millions of years it becomes what is commonly known as decomposed granite gravel. It packs well yet lets water drain through. It is high in trace minerals and environmentally safe. Use it for walkways or driveways, as a mulch, or as a paver/stone base. Some people like to mix the decomposed granite into landscape beds to create soil mixtures. As a walkway or paver base, install 4 - 8 inches. Water to settle. If using as a soil amendment, some experts say that you can mix up to 50% decomposed granite into the soil to create planting bed material or potting soil. 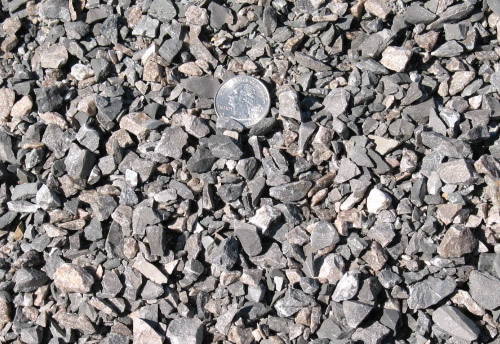 This lightweight gravel-like material is gray in color and has small porous holes. 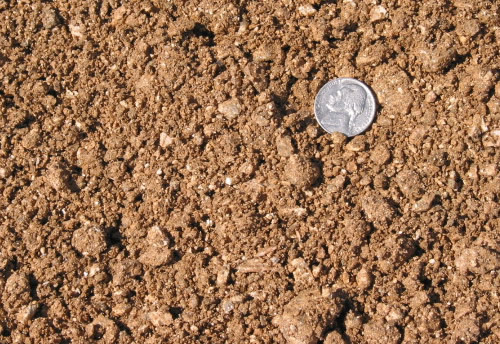 When added into the soil it can help retain moisture, aerate, and breakdown clay-based soil. It can be used as a soil amendment by tilling it in with compost. 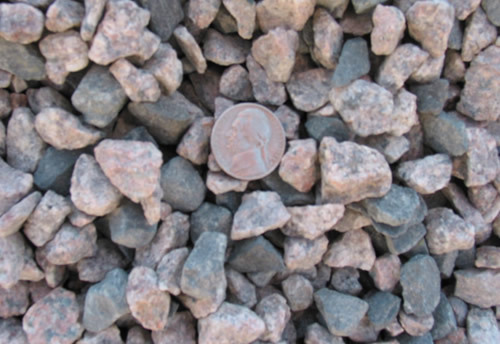 We recommend that this material be used in conjunction with our pH Balanced Compost™ to help attain a neutral pH. 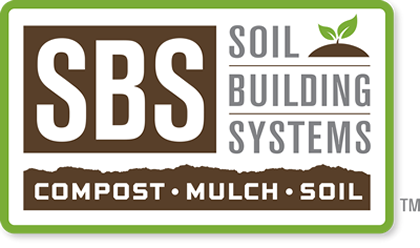 Mix the expanded shale with pH Balanced Compost™ and till into clay-based soil. Use 1 part of this expanded shale & compost mixture to 1 part of existing soil. 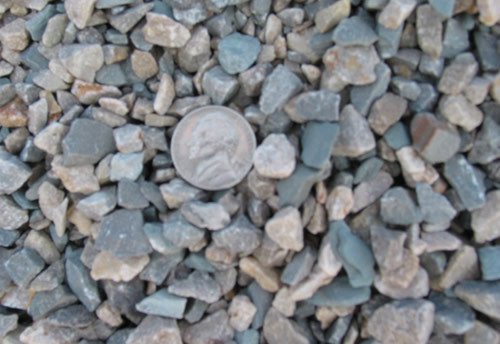 Crushed concrete with particles ranging from 1-1/2" down to dust in size. This material packs very well and is commonly used under roadwork or other applications where you need a very stable base. Base for driveways, roadways, or other structures that require a stable footing. Apply 4 inches or more as a base. Crushed concrete screened out at 1-1/2 down to 3/4". This makes a great base that allows superior drainage. It will stay relatively loose and not pack. Crushed concrete with particles ranging from 3/8" down to dust. There are no wires or rebar present in this material. 3/8" and down to dust. Used for packing/hard surface applications. Can be used as base under flagstone/pavers. 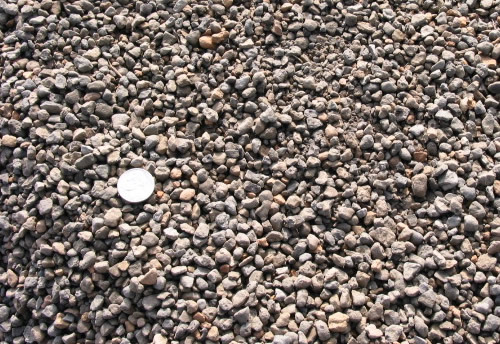 Crushed concrete with particles ranging from 3" down to 1-1/2" in size. There are no wires or rebar present in this material. Use as a solid base when drainage is desired. 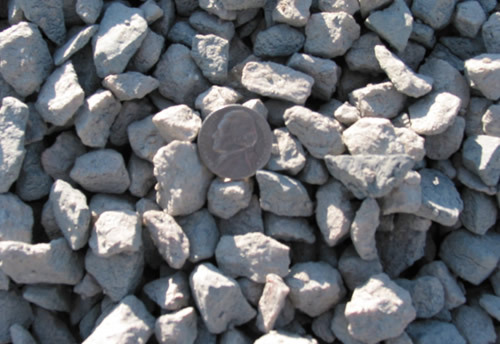 These recycled concrete materials are used for numerous purposes, including for drainage, back fill, road base, paving, sidewalks, and are TxDOT compliant. These materials are free of wires and rebar. 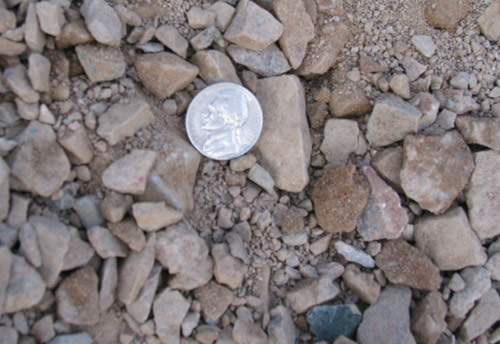 (Picture shows 1-1/2” crushed concrete). This material is commonly used by landscapers and irrigators when constructing drainage beds, creating pipe beds, or laying pavers. Also used by municipalities and TxDOT for temporary and permanent roads, sidewalks, etc. Base for driveways, roadways, or other high-traffic areas. Crushed granite with consistent particles sizes of 1/2" throughout. 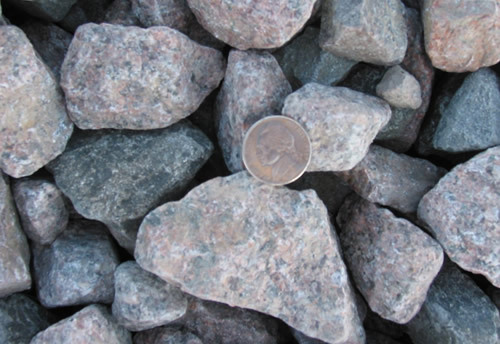 Crushed granite with particles ranging from 1" down to 1/4" in size. 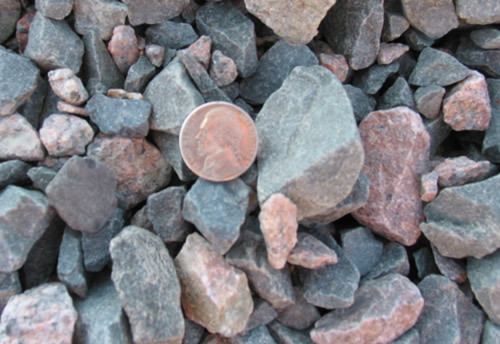 Crushed granite with particles ranging from 2-1/2" down to 1" in size. 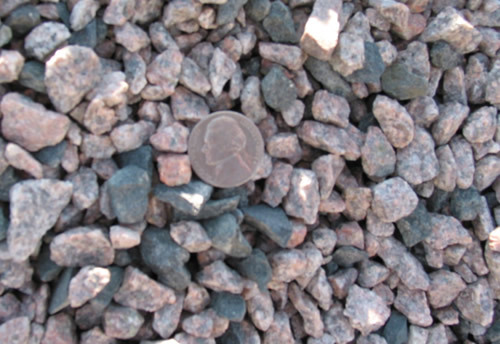 Crushed granite with particles ranging from 3/4" down to 1/8" in size. For walkways, base for stonework, or light-duty driving surfaces. 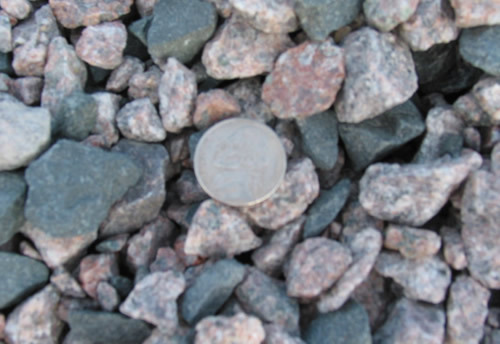 Crushed granite with consistent particles sizes of 5/8" throughout. 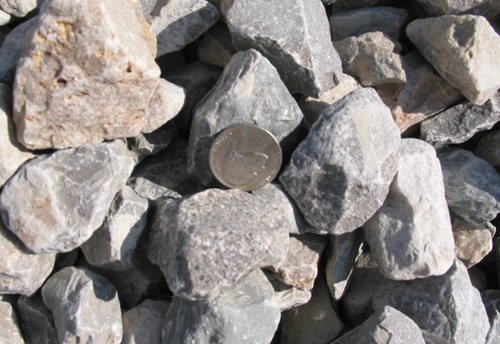 Crushed granite is a very nice looking and hard rock, and comes in many sizes ranging from 1/2” up to 2-1/2”. Some varieties are screened of fines, and some contain particle sizes down to dust. (Picture shows 1-1/2” crushed granite). Crushed granite has corners, therefore, it is best suited for uses involving its aesthetic value, or drainage projects. It packs nicely, yet allows water and air to penetrate. It can also be used as a mulch around trees and the like. 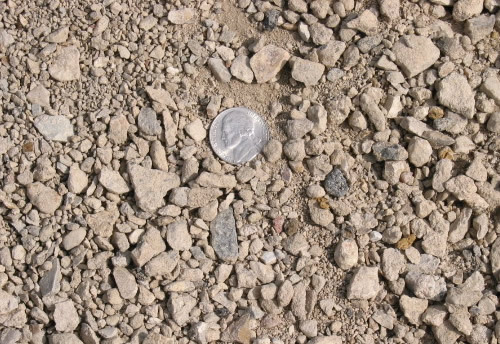 Crushed limestone with particles ranging from 1 1/2" down to 3/16" in size. 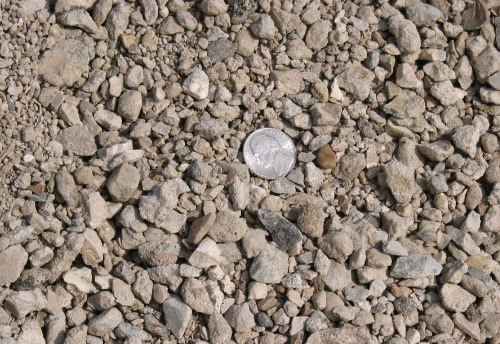 Crushed limestone with particles ranging from 1/2" down to 1/16" in size. 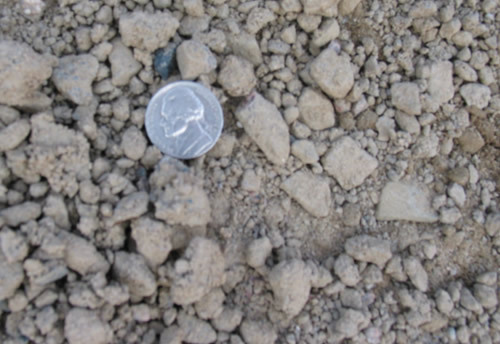 Crushed limestone with particles ranging from 1" down to 1/2" in size. 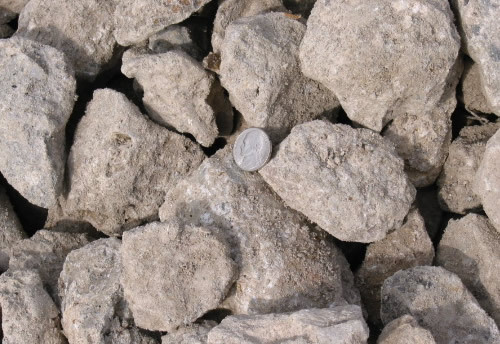 Crushed limestone is a softer rock and comes in several sizes, including 3/8”, 1”, and 1.5” and down. (Picture shows 1-1/2” crushed limestone). 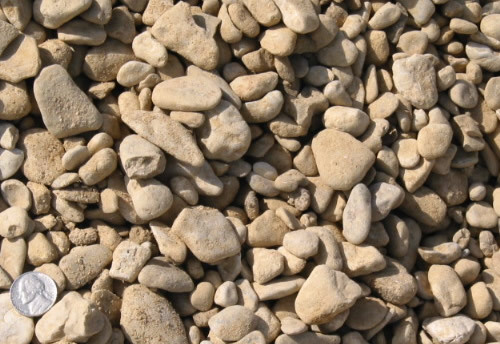 Limestone is indigenous to Texas and has good aesthetic value. It will produce a white powder and small particles as the rock gets chipped. It is suitable for drainage projects and can be used to beautify your garden or landscape areas. 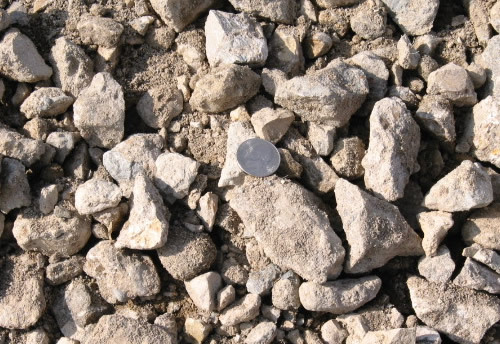 Crushed limestone with particles ranging from 3/4" down to 3/8" in size. 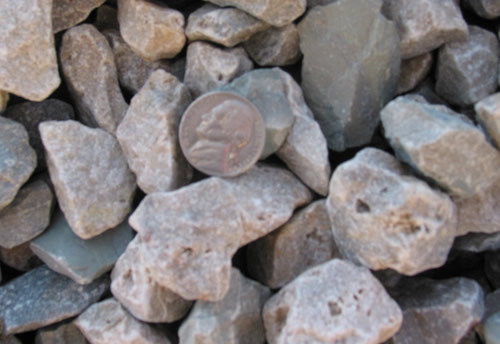 Crushed limestone with particles ranging from 1 1/2" down to 1/2" in size.